Voiceover Does your speed choice really matter? 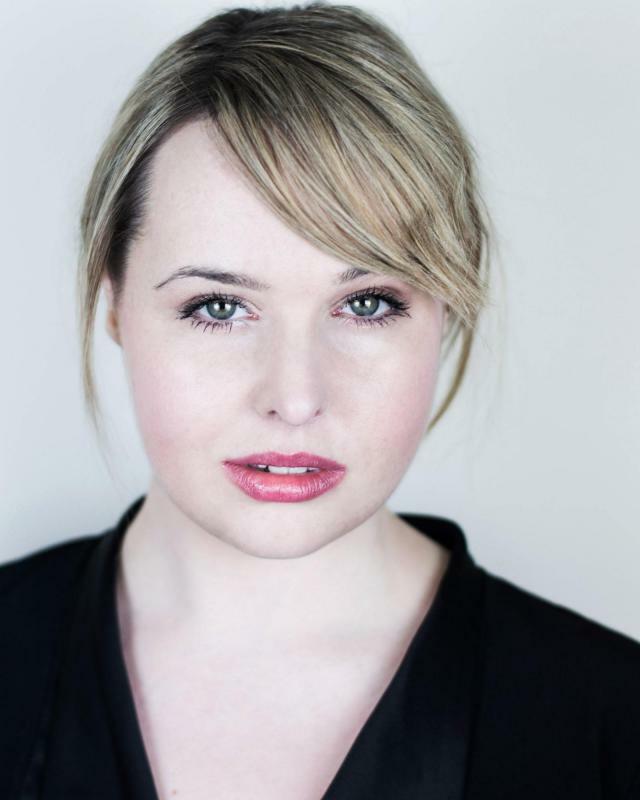 Jenna is a talented actress and voice over with a striking look and camera presence. What sets her apart from other performers is her interesting background in Psychology which adds greater depth and believability to her performances. Her character and emotional range make her a versatile addition to any production and she possesses good instincts and the ability to create an interesting and well rounded character. She voices Naija in award winning adventure game Aquaria and sings the opening and ending themes. Jenna is also a talented Belly Dancer and is currently working on a Bollywood inspired routine for a dance showcase. Visit www.jennasharpe.com for more information. Jenna's background was as a Psychologist and after a few years working for the police she decided it was time to pursue her Voice-Over and Acting career professionally. She became a professional voice over in 2006 when she was scouted to voice Naija and sing the ending theme to Bit Blot's award winning game Aquaria. Other roles soon followed including a lead in the world Premier of Terry Pratchett's novel Moving Pictures (attended by Sir Terry himself) and lead roles in 21st century film noir 'The Simple Lies Experiment', 'Psychosis Saved', 'A Novel Romance' and romantic comedy 'Georgina Adams'. Jenna utilised her experience working for the police playing a Police Constable in ITV's Dramatisation of the Stockwell Shootings. Hobbies include photography, running, swimming and cycling, Pilates, Mixed Martial Arts, riding, Boxing and kayaking. Martial arts gradings in Ju Jitsu, Karate and Tae Kwon Do. Keen interest in wildlife, fashion and Psychology. Knowledge of criminal justice sector and policing. Full driver's license. British Red Cross first aider. Can also cry real tears on cue! "Jenna Sharpe was particularly strong as Michael's 'executive assistant' Sharon; her performance and brightly coloured appearance and mannerisms perfectly reflected the well-meaning secretary's crazy lifestyle and aerobic excesses"
"The main characters Dibbler (Kevin Miller), Ginger (Jenna Sharpe), Victor (David Richardson) and Gaspode (Ruth Gostelow) were all excellent." "Jenna's performance in Aquaria is the best I've ever heard in a video game, indie or commercial. It's the honest truth. Alec and I are extremely lucky to be able to work with her!" "Naija becomes a fully formed character (thanks to voice actor Jenna Sharpe, who does a great job). She expresses doubts and insecurities and it soon becomes apparent that she, like her sprawling home, has more depth than meets the eye." "Aquaria, Naija is voiced by an actress named Jenna Sharpe whose characterization is entrancing. Maybe I'm a softy for a breathy English accent, but Ms. Sharpe's evocative rendition fits the world of the game perfectly." "Jenna Sharpe, a previously amateur British voice actress, plays the role of Naija with great conviction, and her performance rivals and even exceeds many you've heard in higher-budget titles. It could be raw talent that affords her the quiet, subtle delivery she excels at, or it could be that her lovely voice simply fits the character as well as it does, but the net result is fantastic no matter the steps taken to get there. It isn't just in her reading of the lines, either, for it manifests itself in small ways that help players feel empathy for the plight of their avatar. Hearing Naija narrate her experience can indeed be moving, but it's virtually impossible to avoid a connection with her when she gasps slightly or utters a quiet "wow" of awe after running into a particularly magnificent creature. There's even a surprisingly powerful theme sung by the same actress within the game, a tune just dark enough to be taken seriously." "one thing that grabbed my attention was Jenna's voice acting. Something told me that the game was going to be more than my first impression." "the magical voice acting of Jenna finally convinced me to visit your site"
"Jenna Sharpe is an amazing voice actor for the role. Fell in love with the voice instantly." "The performance in the trailer is among the best I've heard. It feels natural and not forced and corky as in most cases." "I too felt an immediate emotional connection with Jenna's voice. That awesome personality (and accent) that totally gave Naija that personality that drew me in so quickly. If Aquaria had been a completely text-based game I don't think I would have taken enough away from the demo to actually purchase the game. Her importance cannot be emphasized enough." "An awesome song from one of the greatest games of all times. Anyone who's never played Aquaria, go out and pick up the game or demo right now!" "Her voice is so damn crystal clear. It is incredible consoling and soothing"
"the song Jenna sang is truly heart-wrenching. I managed okay in the game, but when I listened to it at work the other day it was all I could do not to cry like a damned baby." "Your reading was AMAZING. You totally elevated the story, you nailed the pauses and the accents... really impressive. Once I heard the first few sentences I knew I was in good hands." equally matched by the masterful reading." "This was one of the more realistic stories I've heard from this podcast." "Great episode, and a fantastic reading by Ms. Sharpe. Wow, Pseudopod, once again, you have raised the bar." "This ep was one of the best in a long time. The twist at the end reminded me of an old EC horror comic, maybe a Bradbury adaptation."